The Track Tundra Solid is ideal when you need to cool the lanes down. The coverstock and core for this ball offer great control when it is needed. The Track Symmetric core has a high RG and low differential that allows the ball to retain energy longer and offer a smooth, controllable down lane motion. The QR-4 Solid coverstock found on this ball matches up well with the Track Symmetric core. With a 3000 grit sanded finish this ball doesn't have a hard time on the front of the lanes and still has ample traction when facing light to medium oil conditions. 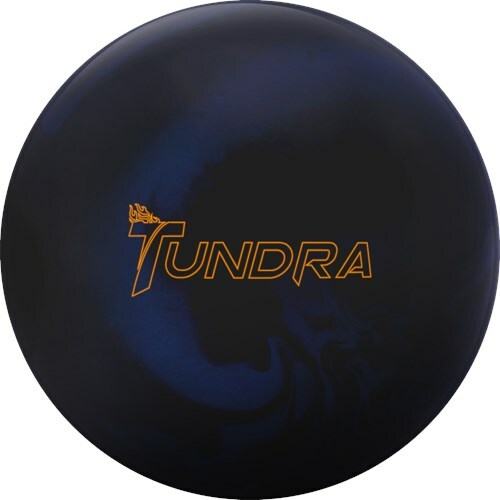 I drilled the Tundra Solid pin up and left it at box finish and plan on using this ball for tournaments when the lanes dry up. This ball gets down the lane nicely and surprisingly has a lot of backend. This will be a great one on the lighter patterns when you have to move deep on the lane. The Tundra Solid is perfect for dry lanes. It also works great if you want to play a straighter line on medium oil. If the Tundra was too weak for you, the Tundra Solid is going to put a smile on your face. The solid cover blends out the chop and still gives you the pop on the back end to get the corners out. I drilled the Tundra solid 40x4 1/4x 20 (Pin about 2 inches above the fingers) this is not a bad layout for me I wanted something a little stronger on the lanes when they are to fresh. This worked out perfect I don’t have to play far right in order to see movement out of the Tundra, I can also play in a little as long as it doesn’t skid in the oil to long. The move off the friction is smooth and the finish is nice. I was surprised to see I could play on short and medium sport patterns with this layout, the Tundra will be a good ball when I get on more sport patterns early and late in the day. I drilled up this ball expecting it to be a late in block or late league kinda ball and it has worked out, but I have been using earlier & earlier. It has more teeth than I expected, has a nice smooth arc and hits hard. It fits between my pearl Tundra and my Hammer Web Tour. Nice add to my bag. Type I used it late on a pattern at West Coast Challenge and made up a lot of ground fast. It's a beast on THS. Likes: I like the dark blue color scheme. I like the length and the power. Don’t have a ball for dry/dryer conditions?!?! Look no further than the Track Tundra Solid! This is a perfect league ball that clears the front part of the lane really good and continues very strong in the backend! This ball packs a punch in hitting power! Definitely a must-have and go-to for dryer conditions. This ball will always be in my bag forleague and short tournament patterns. Likes: Great for THS's and clears the front part of the lane really good and still has a strong backend!